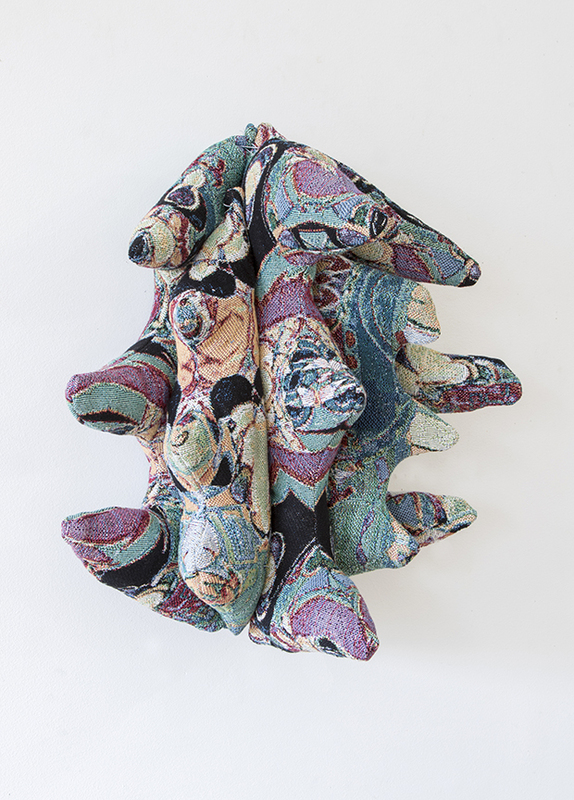 The Missing Limb, 2016, Digitally woven cotton, polyester, thread, 23 x 10 x 7 in. Downrange Ash, 2016, Digitally woven cotton, polyester, thread, 20 x 20 x 9 in. 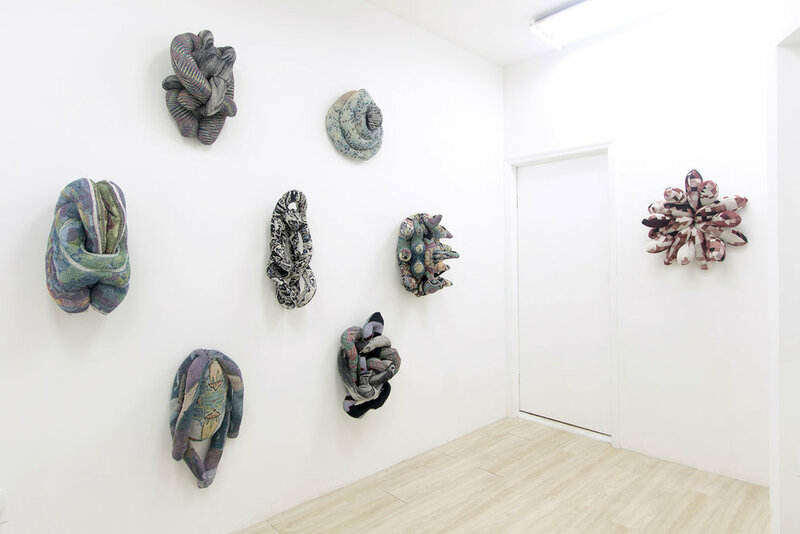 Installation view: Left: Hawkey, 2016, Digitally woven cotton, wood, polyester, thread, hardware, 70 x 50 x 3 in. Right: Prototype 9618, Digitally woven cotton, polyester, thread, 24 x 18 x 8 in. Prototype 9618, Digitally woven cotton, polyester, thread, 24 x 18 x 8 in. Hawkey, 2016, Digitally woven cotton, wood, polyester, thread, hardware, 70 x 50 x 3 in. Fondest Plum, 2016, Digitally woven cotton, polyester, thread, 20 x 12 x 9 in. Anti Creature, 2016, Digitally woven cotton, polyester, thread, 25 x 22 x 15 in. 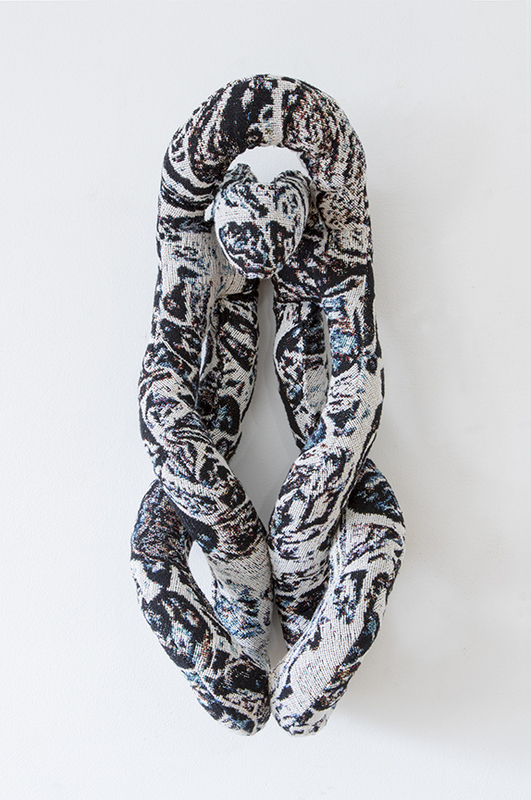 Sensed Stone, 2016, Digitally woven cotton, polyester, thread, 18 x 10 x 10 in. One Tiny Tribe, 2016, Digitally woven cotton, polyester, thread, 15 x 16 x 11 in. 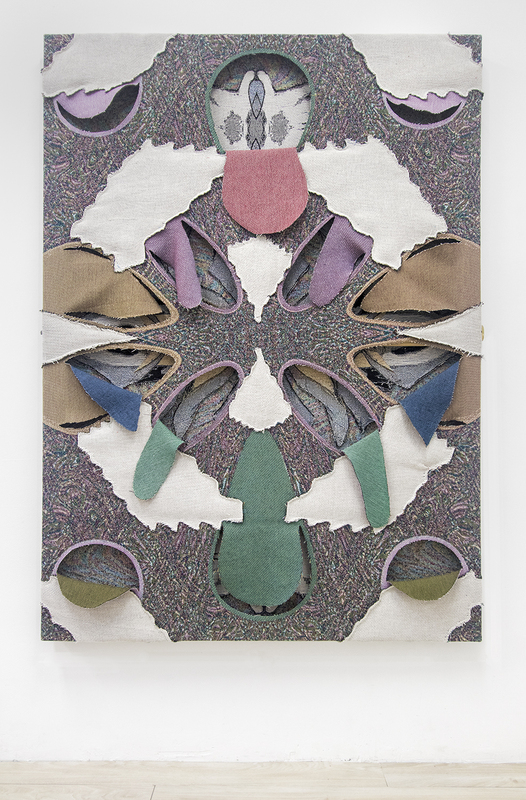 Shallow Fiber, 2016, Digitally woven cotton, polyester, thread, 25 x 13 x 8 in. Memoriez, 2016, Digitally woven cotton, polyester, thread, 21 x 17 x 8 in.